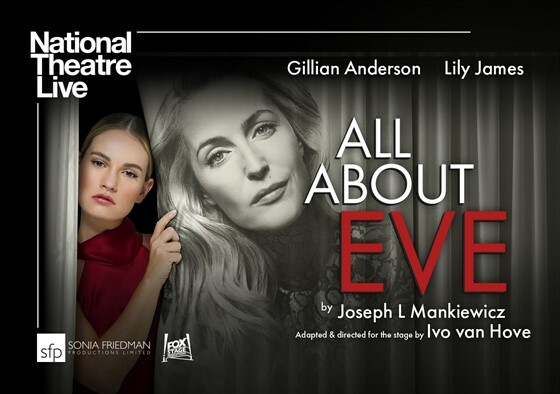 All About Eve tells the story of Margo Channing (Gillian Anderson). Legend. True star of the theatre. The spotlight is hers, always has been. But now there’s Eve. Her biggest fan. Young, beautiful Eve (Lily James). The golden girl, the girl next door. But you know all about Eve…don’t you…? Lifting the curtain on a world of jealousy and ambition, this new production, from one of the world's most innovative theatre directors, Ivo van Hove (NT Live: A View from the Bridge), asks why our fascination with celebrity, youth and identity never seems to get old.